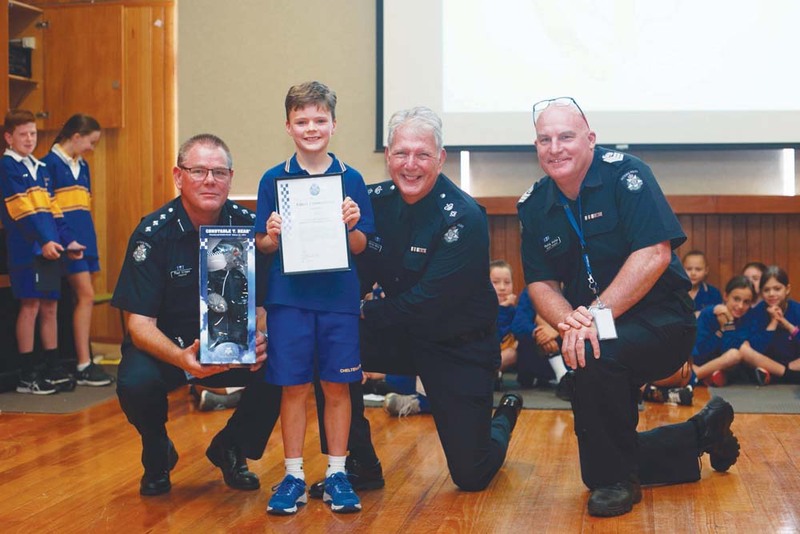 A YOUNG boy has been recognised by Victoria Police for his initiative and bravery after he helped alert lifeguards at the PARC swimming pool that a child was drowning. Will Bourke was presented with a citizen commendation on 1 April in front of his schoolmates at Cheltenham primary. His father Steve said that he was “really proud” of his eight-year-old son. “Will was with my father at PARC last school holidays having a swim with his cousin Henry. They walked over to the pool and looked in when they saw a young boy who looked to be in trouble under the water,” Mr Bourke said. Mr Bourke said Will was stoked to be given recognition by the police. “He was given the award in front of his whole school and all his peers. My wife’s father and my parents were there,” he said. The young boy was taken to hospital and recovered. Will’s cousin Henry attends St Augustine’s in Frankston.